Are you monitoring the effect your business travel is having on the environment? Information is critical. Without data, it is impossible to make the necessary improvements. Besides reporting on the success of your business travel management programme, Thompsons Travel can provide you with a quarterly reports on your CO2 emissions. Take advantage of our experience – we can help you make small changes to meet your overall green travel goals. Did you know? Carbon offsetting is a reduction in emissions of carbon dioxide or greenhouse gasses made in order to compensate for (or offset) an emission made elsewhere. Carbon offsets are usually measured in tonnes of CO2-equivalents (also known as CO2e) and can be bought and sold through international brokers and online platforms. There are two significant benefits of planning green conferences: decreased cost and increased public relations. With the myriad green options available to you in the market today, there’s no reason not to take a more sustainable approach to every event you host. 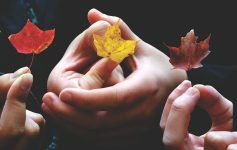 At Thompsons Travel, we believe that every event should have a green policy in place to inform every decision you make, from your venue to your vendors. This way, you’re making mindful decisions about reducing waste. It is estimated that eight million tonnes of plastic pour into our oceans every year, this in addition to the more than five trillion pieces of plastic estimated to be littering the oceans at this moment. According to a report by the World Economic Forum, if nothing is done to push back against the deluge of plastics currently overwhelming our oceans there could be more plastic in the oceans than fish by 2050. In line with our parent company, Cullinan Holdings, we have massively reduced the use of plastic internally, and have almost eliminated single-use plastic from our offices altogether. With the 3 R’s of the environment top of mind, we are actively reducing our waste and saving natural resources. At Thompsons Travel, we recycle all paper plastic and tins; use mostly electronic documentation (and encourage our clients to do the same), and when we must print a document, we only do so on recyclable paper. 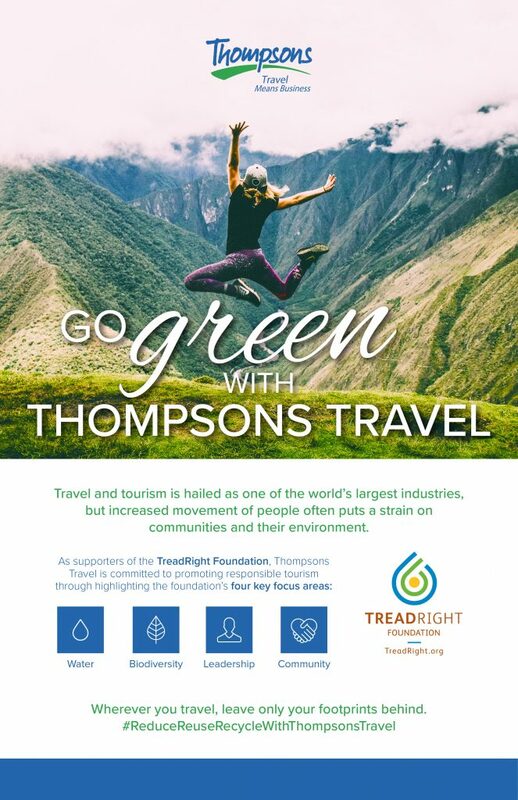 To chat about how we can work together to encourage responsible tourism best practices in your business travel planning, incentives, meetings, conferences and events, contact Thompsons Travel today.